CQC’s new programme of inspections of England based GP practices focuses on rating according to whether they are safe, effective, caring, responsive and well led. Inspectors rated Silverlock Medical Centre “Good” for being well led and responsive to people’s needs. Professor Steve Field, Chief Inspector of General Practice said “We carried out an announced comprehensive inspection at Silverlock Medical Centre on 21 July 2016. Overall the practice is rated as good. There was an open and transparent approach to safety and an effective system in place for reporting and recording significant events. Although most risks to patients were assessed and well managed some including those associated with infection control, emergency supplies and safety of electrical equipment had not been adequately considered or acted upon. Staff assessed patients’ needs and delivered care in line with current evidence based guidance. Staff had been trained to provide them with the skills, knowledge and experience to deliver effective care and treatment. However we found that some staff had not completed mandatory training, including safeguarding, infection control and fire safety, at the time of our inspection. Patients said they were treated with compassion, dignity and respect and they were involved in their care and decisions about their treatment. Information about services and how to complain was available and easy to understand. Appropriate action was taken on the basis of complaints and concerns. Most Patients said they found it easy to make an appointment with a named GP and there was continuity of care, with urgent appointments available the same day. The practice had good facilities and was well equipped to treat patients and meet their needs. There was a clear leadership structure and staff felt supported by management. The practice proactively sought feedback from patients, which it acted on and were open to suggestions for improvements made by staff. The provider was aware of and complied with the requirements of the duty of candour. Queens Road: We are moving! We have listened to your feedback about our premises, and we agreed that we needed to relocate to a more suitable site with improved facilities and accessibility. 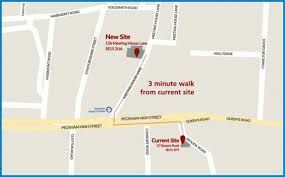 As such, we are very pleased to inform you that we have secured new premises for Queens Road Surgery, just three minutes walk from our current site, with significantly improved facilities, more clinical rooms and improved patience access. You do not need to do anything except make a note of the new address – you will remain a registered patient and our telephone number will also remain the same. To minimise disruption to patient services, we have planned our move over a weekend. The final service at the current premises is at 12.30pm on Friday 2nd December 2016. The first date of resumed service at the new site is 8.00am on Monday 5th December 2016. If you have an urgent medical query between 12.30pm and 6.30pm on Friday 2nd December 2016, please call 111 free from landlines and mobiles. Out of hours cover provided by SELDOC on 020 8693 9066 will be available as usual between 6.30pm on Friday 2nd December 2016 until 8.00am on Monday 5th December 2016, when we will resume normal opening hours at our new premises. If you have any concerns please feel free to contact me on souccg.qrs@nhs.net or 020 7639 1133.